Bingo House Review - 150% Cash Match Bonus on 1st Deposit! Unfortunately there is no promotional scheme available on Bingo House to assist us in advertising the site. As such we have provided you with an alternative called Smooth Bingo, which is an impressive gaming site offering a great choice for any type of player. The best place in the world to be is at home, so when we at Place a Bet Online found Bingo House we knew we had to tell you about it. 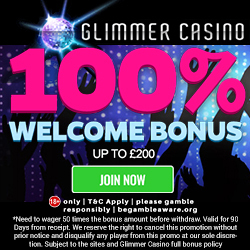 This exciting site offers a great range of games, including bingo, coverall jackpots, progressive jackpots and featured games such as Sugar Train and Cubis. The bonuses start from the point you register, because when you make your 1st deposit you’ll receive a 150% cash match bonus. 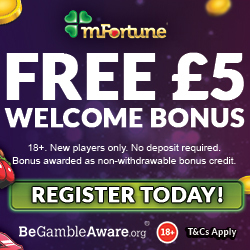 This means that if you add £10 you’ll receive an additional £15 bonus credit, making a grand total of £25 to play with. This extra credit will give you the opportunity to really try out the site and its games and promotions before parting with anymore of your own money. 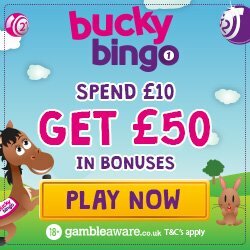 We’re sure you’re already telling your friends about this great new bingo site, so why not earn a little bonus for your referral? For each friend you refer who deposits, you’ll receive £10 credit to play on any games you like. As this bonus is unlimited the more friends you have the more games you can play. Sure Win – With £2,500 up for grabs every month everyone is a winner. If you play Sure Win on the 15th of every month at 20:00 you are guaranteed to win something from Bingo House. Zodiac Bingo – Is £1,111 in your future? With Zodiac bingo there’s a chance to win a share of this every month, and as a special gift Bingo House will give you 10 tickets for your birthday. £ 1,000,000 Jackpot – To be in with a chance of winning a £ 1,000,000 Jackpot, join Bingo House three times a week on Wednesday and Friday at 10pm and Saturday at 9.30pm. Bingo House is available on Facebook and Twitter, so if you’re a social media fan then make sure you ‘Like’ or ‘Follow’ their pages to keep up to date on the latest promotions or games. From the point you register you’ll join Bingo House’s loyalty scheme called Bingo Friends Forever. As you play you’ll be earning points which can be converted into additional gaming credit, plus the more points you have the higher your position in the loyalty scheme level. There are 5 tiers which include Blue, Bronze, Silver, Gold and Platinum, with each level having bigger and better rewards including re-deposit bonuses and special promotions. To claim the incredible 150% cash match bonus and try out their amazing games, you simply have to register with Bingo House.